Coachella is a festival I’ve had on my radar for a while. While I’ve been to Lollapalooza and Bonnaroo, I know the feel of a west coast festival would be much different and it’s definitely something I plan to experience (hopefully sooner rather than later). 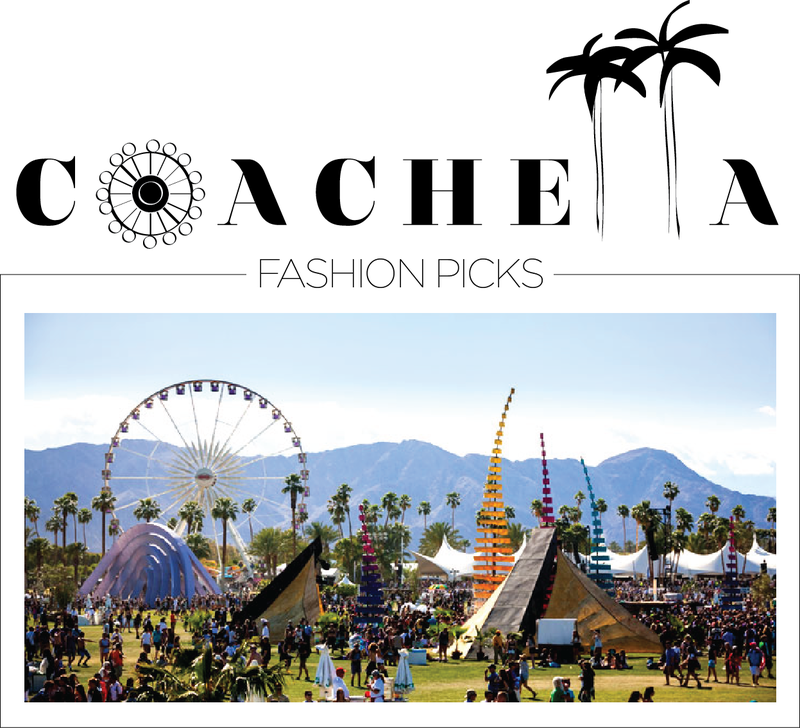 Coachella is a celebration of Art, Music and sunny California. It’s also widely recognized for the style that is exhibited by it’s goers; I might even venture to say that it sets the standard for what people will be wearing for the duration of festival season. My fashion picks are a mashup of hard and soft pieces that I could definitely see myself rocking during the weekend long celebration, as well as for the rest of the summer. My favorites are probably the jewelry from Catbird, the NSF Patchwork Jeans I spotted on Shopbop, and the Steve Madden leopard Birkenstock style sandal. To make the envisioning process a little easier, here’s a Spotify playlist of most of the artists playing at Coachella! Hopefully you’ll discover some new music along with loving some already favorites. This entry was posted in lifestyle, music, travel and tagged Accessories, Art, Birkenstock, boyfriend jeans, bralet, catbird, Coachella, fashion, Festival, Festival fashion, free people, House of Harlow, Jeffrey Campbell, Jewelry, Lulus, Mules, music, Nasty Gal, needsupplyco, Oliver Peoples, Overall, Pixie Market, Platform, playlist, rachel comey, Retro, Revolve, Revolve Clothing, runway bandits, sandals, shoes, Shop Planet Blue, Shopbop, Spring Fashion, Steve Madden, summer, Summer Fashion, topshop, trend, vintage, zara by Lo. Bookmark the permalink.